CBSE 10th compartment Result can expect this week according to the sources, the Central Board of Secondary Education (CBSE) is likelt to declare the 10th compartment examination result on this week at the official website. This also called as the improvement examination which was conducted by the board on July. While the board was announced the CBSE 12th Compartment exam result recently. The students of class 10th who all appeared to the class 10th improvement exam can expect their result in this week. Around eight lakh eighty six thousand students were appeared on the Class 10 main in March 2017 under CBSE across the country. Also, the board announced the class 10th result on June 2nd, Friday. 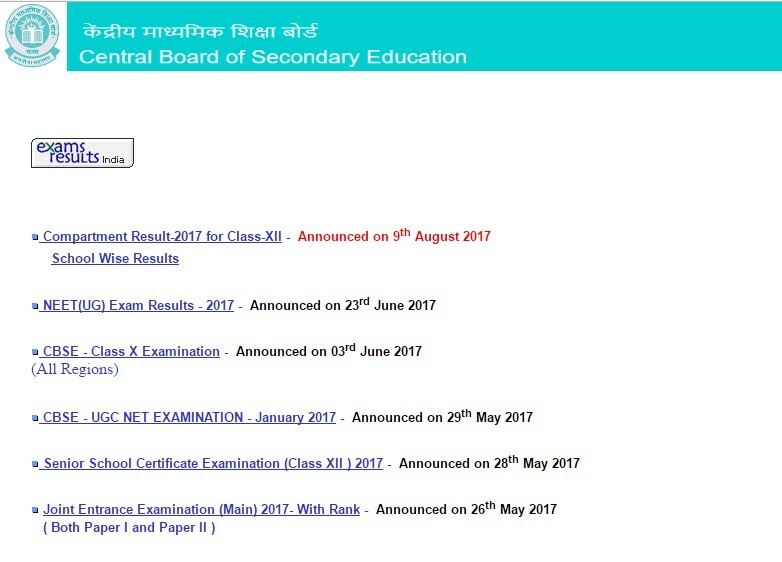 Visit the official website of CBSE board. Click on the link which related to the CBSE Class 10th result 2017 on the homepage. Enter roll number and other fields in the corresponding area. Result will be appeared on new window. Save it as PDF (or) Download it (or) Take a print out for further use. As per the latest update, the CBSE board has made six subjects mandatory for students appearing for their class 10 board exams.